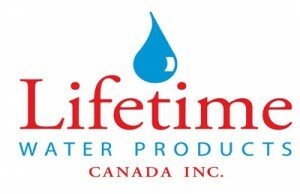 Lifetime Water Products Canada Inc. is a full service water treatment & purification company with a complete line of drinking water and whole house building water systems. 5 Fully trained service technicians – 62 years combined experience!!! Corporate sponsor of several charities and community causes including: London Health Sciences Foundation, London Regional Children’s Museum, Grand Bend Rotary, Huron SPCA, Ausable Bayfield Conservation Authority, Lions Club(s), Optimist Club(s), Dave Mounsey Memorial Foundation (Public Defibrillators), South Huron Minor Hockey, Exeter Junior Hawks, Southwest Jets Hockey, Huron Habitat For Humanity, South Huron Hospital Foundation, World Vision, Exeter Skating Club, Canadian Heart and Stroke Association, Canadian Cancer Society, Canadian Diabetes Assoc., War Amps, Brian Tumor Foundation, South Huron District High School, Southwest Jets Hockey Club and many more! The Pulp and Press Juice Co.